Returning home after ten days of travel, it is with great pleasure that I cook myself a satvik meal of rice, dal and simply cooked vegetables that my body craves while listening to satvik Carnatic music which my soul craves. 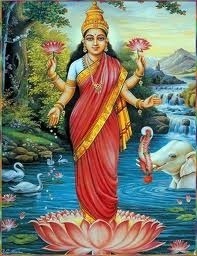 In my tired state, it is the gentlest sound of this familiar song in lilting Yamuna Kalyani raga that brings me the restfullness that I need. ‘Come soon and show me your face!’ says Vyasatirtha (1460-1539) to Lord Krishna. He was a great philosopher and saint and was one of the most influential of Dvaita philosophers of Southern India. Vyasatirtha was the guru of Purandaradasa (1484-1564), the father of Carnatic Music. In this lovely song, he says ‘With anklets on your feet and blue-sapphire bracelets, come dancing to me O blue-skinned one! With a waistband with bells around your waist, with rings on your fingers and your Vyjayanti garland around your neck, come soon! 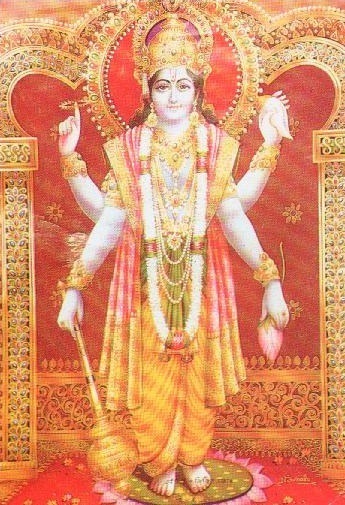 Dressed in saffron silk from Kashi, flute in hand, and body anointed with sandalwood, come soon!’. 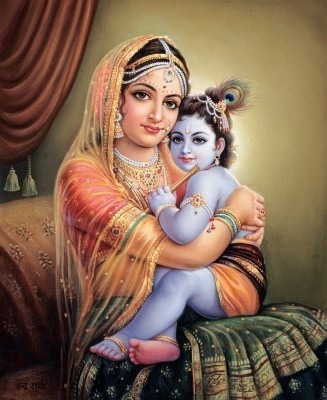 Who is not familiar with this well-loved image of Krishna? 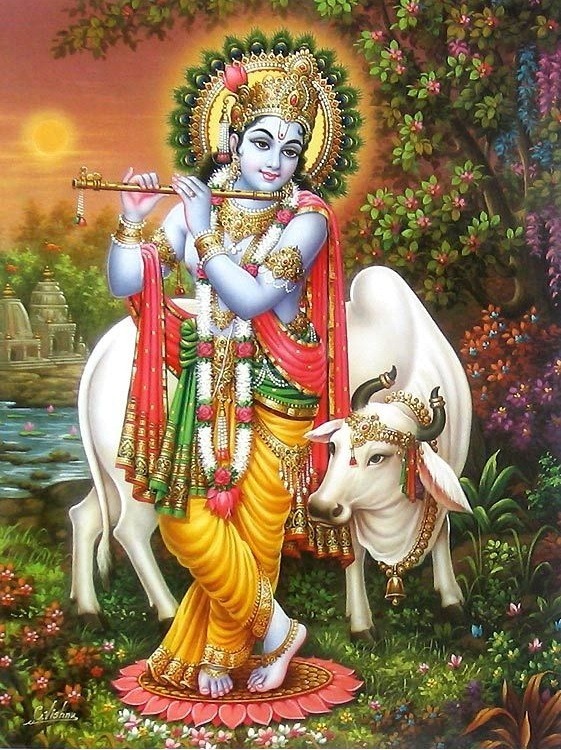 In this song, the poet brings to life our beloved Krishna with such exquisite simplicity that as I listen to the music, Krishna’s presence surrounds and permeates my world. To know more about the raga Yamuna Kalyani, click here. Listen below to Aruna Sairam’s beautiful rendition of this song. She starts with a sloka from Krishna Karnamritam कृष्ण कर्णामृतं by Bilvamangala Swami (14th century). He who has His luxuriant tresses adorned with peacock feathers, with flashing eyes, with a delicate smile in his charming red lips, with very generous appearance – my eyes search for that Krishna with the youthfully attractive look. For the lyrics and translation of the song, click here. For an excellent instrumental version, I have of course chosen the flute. It is played by the superbly talented Maestro Shashank who enchanted me with this beautiful rendition. I am reminded of the band Colonial Cousin and their fusion piece based on Krishna Nee Begane by a reader. Though in general I am not a fan of fusion, this is particularly well done and well worth a listen. I liked the video as well.